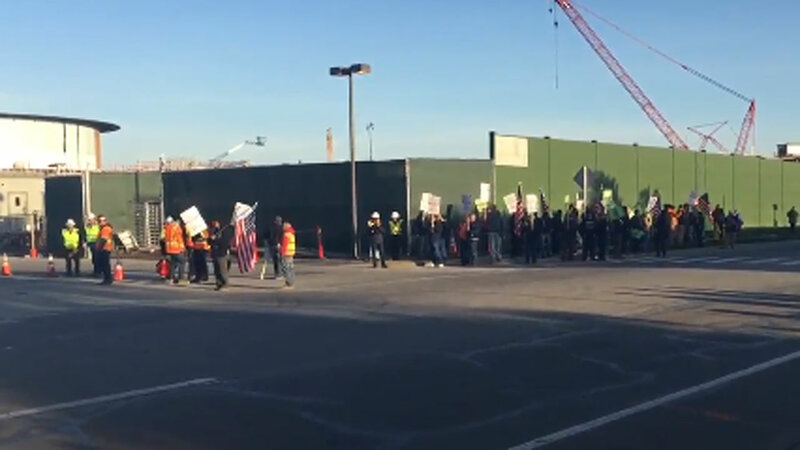 CUPERTINO, Calif. (KGO) -- Plumbers and pipefitters with Local Union 393 are picketing outside Apple's new space ship campus under construction. Dozens of workers rallied outside one the gates. The Santa Clara County sheriff's says there have been some traffic issues. But, so far no arrests or citations. Workers are upset at Preston Pipelines. The company is doing work on apple's new campus. Workers say it's not paying a prevailing wage and they want Apple to put pressure on Preston Pipelines to pay a fair wage. Apple and Preston Pipelines have yet to respond ABC7 News after being reached for comment.